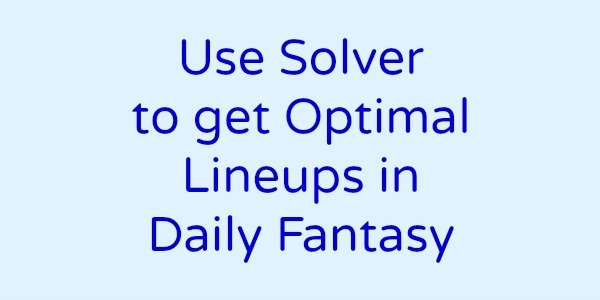 I created this video to show how to generate optimal lineups for Daily Fantasy Sports. 2. Add a column to divide salary by projected score to get your top 200 players. Solver only looks at 200 records. 3. 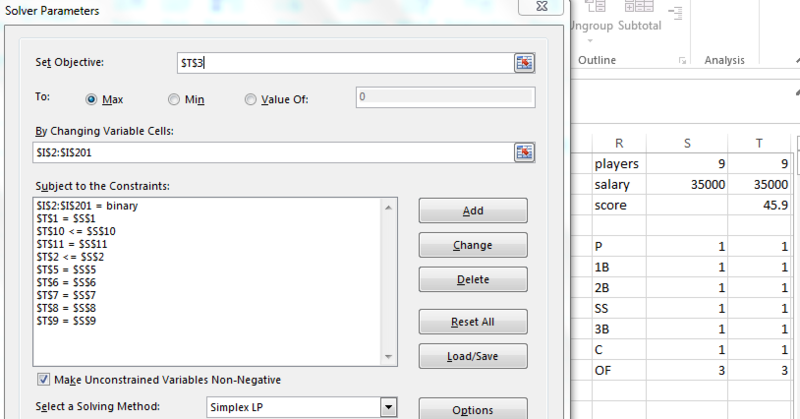 Created columns for each position and used an IF statement to tell if the player is in our lineup or not. 4. Set the parameters for Solver to look at which include the max salary, number of players at each position and total players.